Nothing suitable in promotional pharmaceutical pens? 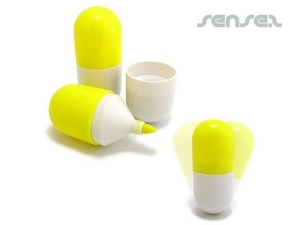 How about custom branded health themed stress balls, logo printed corporate health themed usb memory sticks or one of our promotional health stress balls? 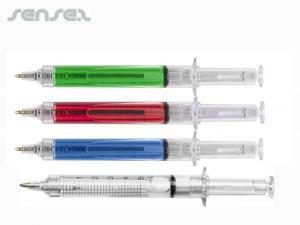 Logo printed Pharmaceutical themed pens are a classic way of getting your brand noticed - But why not do it in style and add a little extra fun and gimmick to your brand. We also have a large range of innovative promotional pharmaceutical themed logo pens, promo Ball Pens for the pharmaceutical industry, health related promotional pens for you to choose from. 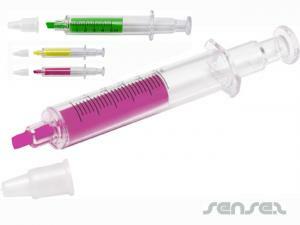 Try our shaped pharmaceutical custom printed pens such as the bone shaped and syringe shaped promotional pens. It will surely be noticed and constantly used around the office and hospital. Image seeing your doctor use a branded bone shaped pen or innovative custom printed syringe pen - it surely won't go unnoticed. Our shaped pharmaceutical Promotional Ball Pens will also look great in the pocket of a shirt or lab coat. Or try our thermometer innovative promo pens - both functional and stylish!